Attention wine lovers. 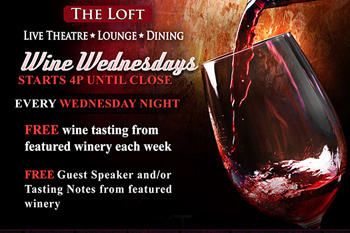 The Loft Tahoe in the Heavenly Village presents “Wine Wednesdays” every week. Join us each Wednesdas from 4pm to 2am. * 50% off all house and selected wines by the glass until 7p, then 25% until close. *25% off our entire wine list. No reservations are required for The Loft Lounge or bar seating.